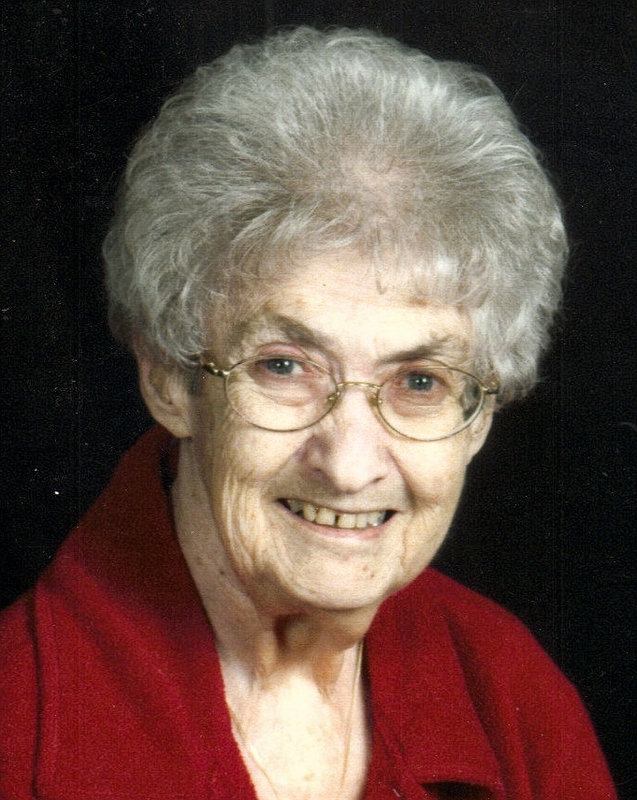 Mary Christina Weis was born February 20, 1928 to Daniel and Christina (Reckers) Weis at her family home in Tea, SD. She was the last of the children born at home. Her 3 younger siblings were born in the hospital in Sioux Falls. Mary graduated from Lennox High School in 1947. After school she worked at Manchester Biscuit Company in Sioux Falls. She later moved with her brother Romane (Marcella) and family to Indiana where she cared for her nieces and nephews. She also lived with her brother Orland (Marian) and family in California and cared for her nephews there. Eventually she moved back to Tea and helped her father with office work at the Tea Supply Company which he owned. She also did babysitting. She married Andrew Hans Joerger on Sept 30, 1961 at St. Nicholas Church in Tea. Mary is a charter member of the Catholic Daughters of America of Sioux Falls. She transferred to the Court of St. Christina Chapter #2336 when it was founded in her parish. She also was a member of the American Legion Auxiliary for 54 years. Mary is survived by her daughter Anna (Mike) Kinsella of Tea. Her siblings: Jerome (Elsie) Weis, Sioux Falls; Frank (DonnaMae) Weis, Valley City, ND; and Margaret (Jerry) Marnette, Aberdeen, SD. She was preceded in death by her husband Andrew, her parents, an infant brother Norbert, and brothers Orland, Romane and Clete, a few nephews and a niece. Visitation will be Monday 5:30 PM at St. Nicholas Catholic Church in Tea with a Scripture Vigil at 7 PM. Mass of Christian Burial will be Tuesday, 10:30 AM at St. Nicholas Catholic Church in Tea.